2016 is well under way and already it’s set to become Smoothie Solutions busiest year yet. We have added five new international distributors to our list of clients and we are now offering more smoothies to more people in more countries than ever before. A crucial part of our growth has been the result of our new IT systems Business Intelligence software plus the hard work put in by our extraordinarily talented team. Apart from the IT systems, in the past 6 months we have introduced a couple of new team members. Maria has joined us to help with our financial management and accounting systems. Maria is a real delight to work with and she is now responsible for everything to do with numbers. Zlatan has joined Smoothie Solutions as Customer Service manager and his personal challenge is to open as many new clients as possible. In 2015 we are introducing to the market three of our new vegetable smoothies to join our very successful Green Machine. Plus we have a new range of smoothies with 100% natural nutritional boosters and protein boosters. 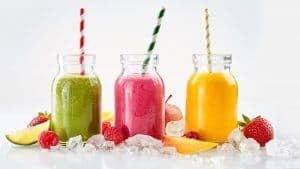 These types of innovation are what keeps Smoothie Solutions at the forefront of the competitive international smoothies supply sector. We believe that competition is great. Our competitors are crucial to the industry and here at Smoothie Solutions we love looking at innovative new products and new services that we can introduce to the market. Smoothie Solutions is always stay one step ahead. Our recently introduced 7 day a week, 365 days a year, delivery service has proved a fantastic success and has been extremely well received by our customers. Our unique delivery service guarantees that customers receive their order within 2 -24 hours, or we will give the merchandise to the customer for free. This year we have many exciting new plans and we hope to be welcoming many more customers on board as we continue to be the number one smoothie supply company in Europe. I’d like to thank you all personally for buying our smoothies and I hope Smoothie Solutions can to continue to serve you for many years to come.